Is LiveCode the Modern Replacement for Visual FoxPro? Visual FoxPro Code Converter 2.15 is now available as a Google Cloud hosted web application (at the bottom of this page). FmPro Migrator Platinum Edition 8.73 adds support for converting Visual FoxPro projects into FileMaker Pro Advanced 17. Visual FoxPro Analyzer 1.02 Has Been Released, Providing for Analysis of VFP Conversion Project Complexity. 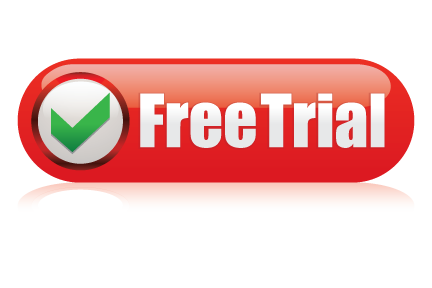 Click on the Free Trial Button to Download. Included with FmPro Migrator Platinum Edition, keeps your Visual FoxPro migration project affordable. Quickly and economically test 6 different development environments - including for Apple iPhone/iPad. Automated conversion of Visual FoxPro Forms/Reports to multiple development tools. Converts .prg file and form FUNCTION/PROCEDURE code to supported development tools. Data bound fields and grid controls are converted into equivalent SQL database data bound controls. Persistent Visual FoxPro relations are converted into SQL database relationships (if needed). Custom ComboBox lists are de-duped and centrally located as Value Lists. Transfer data from locally stored DBF files into 11 SQL databases. Converts pageframe form controls into Tab Controls including embedded objects. Saves many hours of manual work converting each Form/Report. The Visual FoxPro Migration Service built into FmPro Migrator Platinum Edition provides an economical fixed-price migration or conversion service for Visual FoxPro projects. This service converts forms, reports, functions, procedures, persistent relations, and DBF data file conversion within a predefined budget. A wide range of target development environments are supported, including: Servoy, .NET 4 Visual Studio 2010, Microsoft Access, FileMaker Pro, FileMaker Go for iPhone/iPad, and LiveCode. All 6 conversion options are included for one fixed price. Scale up desktop applications well beyond the capacity of DBF files, save money on recurring license billing, and own all of the source code for your application, so you can customize or resell it at any time. Competing systems can cost thousands of dollars annually, and provide no access to the underlying source code. You can think of the PHP Conversion process as a way to improve and optimize performance by building a scalable web application infrastructure from your Visual FoxPro database application. Visual FoxPro Conversion projects can be performed as either Turn-Key or Fixed-Price Consulting projects. The video linked below covers this topic, and more details are available via phone or email on the Contact page. The Visual FoxPro Conversion Service License key is included with FmPro Migrator Platinum Edition. Multiple Conversion Options - Not sure which development environment you want to use? FmPro Migrator makes it possible for Visual FoxPro developers to quickly convert Visual FoxPro projects into 5 different development environments (including: Servoy, .NET 4 Visual Studio 2010, Microsoft Access, FileMaker Pro, FileMaker Go for iPhone/iPad, and LiveCode). All 5 conversion options are included for one fixed price. Save Time, Get Up and Running Quickly - It can be a tedious and time consuming process to manually re-create each form/report object into any other development environment. Rather than spending days or even weeks of valuable time manually converting hundreds of forms/reports, Visual FoxPro developers can utilize the Visual FoxPro Migration Service as an economical alternative. FmPro Migrator Developer Edition typically processes each form/report within less than 1 second - much faster than you could perform the task manually! The ability to efficiently perform Visual FoxPro migrations makes it possible to quickly show prototypes to prospective customers. An automated migration process represents the ultimate in rapid application development, which can't be matched by any other development environment. Being able to show customers a rapid prototype may make the difference in getting approval for a new client project. Script Conversion - The Functions/Procedures within each .prg file and form are converted for specific development environments or copied as commented code. These scripts are intended to be used as a template for the writing of new code within the new development environment. The Visual FoxPro Code Converter provides script conversion (an HTML5 web demo is provided below). The PHP Conversion feature can be used to convert Visual FoxPro applications into PHP web applications. Though the process generally works better using FileMaker Pro as the source database due to the guaranteed data binding information available from the original FileMaker Pro layout objects. It will generally be faster to data bind all FoxPro forms/fields prior to doing a conversion. Alternatively, the FoxPro application could be converted into a FileMaker Pro database, then the Layouts and fields could be data bound - then the FileMaker Pro database would be imported and converted using the PHP Conversion feature. FmPro Migrator uses a 2 step process to import the metadata from within Visual FoxPro projects. Thru the use of the included VFPExport.exe Utility, Visual FoxPro project metadata is read directly from the VCX, SCX, FRX, DBC, DBF, MNX and PRG files referenced within the .PJX project file. This information is written into a new database file named VFPExport.DBF. 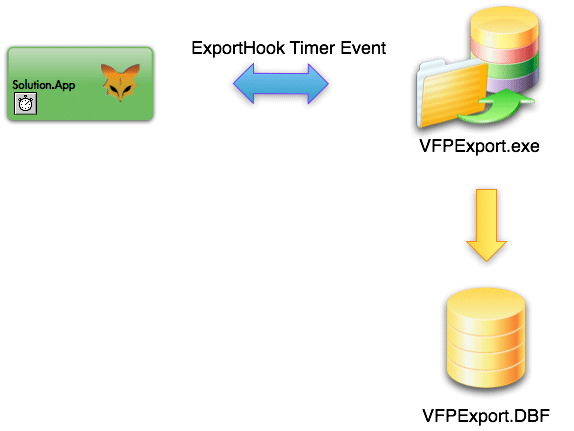 Since most Visual FoxPro projects contain VCX forms and objects having properties set only at runtime, an additional AppHook export process is also used to export project metadata. The VFPExport.exe utility is added to the startup code of the Visual FoxPro application. The Visual FoxPro developer compiles and runs their Visual FoxPro application as a user would use the application to open and close the forms within the application. One second after each form/report is instantiated, the ExportHook timer event fires and captures metadata for all of the objects on the current form/report. Once the Visual FoxPro application is closed, the new data is merged with the existing form/report data within the VFPExport.DBF file. By capturing this information during runtime, all inherited object properties will have been set by the application code, thus insuring that an accurate representation of the objects has been exported. 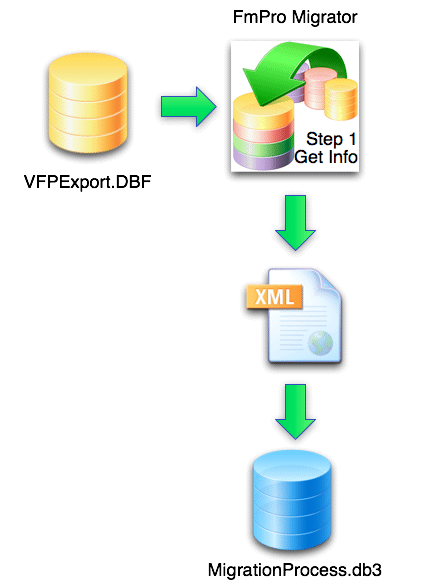 The Visual FoxPro developer can easily modify the records within the VFPExport.DBF table in order to remove obsolete or unused form/report records. FmPro Migrator reads the contents of the VFPExport.DBF file and converts its contents into a standardized XML format which is stored within the FmPro Migrator MigrationProcess.db3 project database. Once the Visual FoxPro metadata has been converted into the standardized XML format, it can then be converted into any of the other database or development environments which are supported by FmPro Migrator. 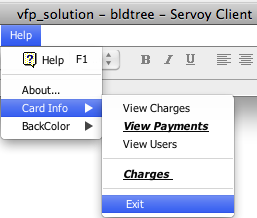 A Servoy application menu can only be used within the SmartClient. Each menu appears under the last menu in the list of menu items. Menu items are displayed as submenu items. Click the Visual FoxPro Code Converter screenshot below to run the cloud hosted demo version within your web browser. 1) Click the application screenshot below to run the app. 3) Using the Ctrl+V keys, paste your PRG code into the field above the app. 4) Click the Convert button. The results will be displayed in the Statistics field. Click the Code tab to show the converted code field. 5) The converted code can be copied to your desktop by selecting the contents of the Code field, then pressing Ctrl+C keys. Note1: If you are using a brower other than Google Chrome, the Ctrl+Alt+Shift keys are used to display a clipboard helper panel. Note2: Some web browsers require enabling clipboard functionality on a per website basis. The free Visual FoxPro Project Analyzer Utility provides a quick way to assess the complexity and cost of a Visual FoxPro Migration or Conversion project. Click the image to download a copy.